Experiencing greater happiness doesn’t have to be complicated. 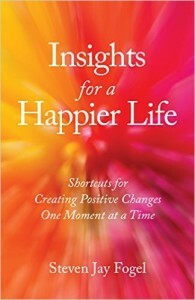 We can take small steps every day–shortcuts for creating positive changes in our lives–to improve our self-esteem, decrease stress, develop better relationships, and experience more joy and fulfillment. What if you couldn’t trust your own mind? If some of what it tells you were wrong, how would you know? While your mind has the potential to help you solve your problems, if your mind is processing false information, well, the information it would give you could have devastating results for your life. Steven J. Fogel understands this, as he’s embarked on a life-long journey to learn why, despite achieving and exceeding his goals for success, he was not happy or satisfied. What he found changed his life, and added aliveness and purpose. 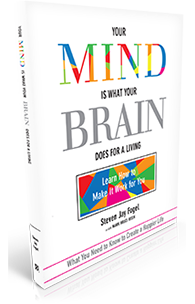 Steve shares these insights in his book, My Mind Is Not Always My Friend: A Guide for How to Not Get in Your Own Way, co-authored with Mark Bruce Rosin. Regardless of what stage in your life you might be, you can learn how to live the fulfilling life you’ve always dreamed of.